Start Time: Sunday 12th August 2018. Meet at 09.45 am for 10.00 am start. Please note that we meet at the end of the walk at the Abingdon Arms PH in Beckley postcode OX3 9UU in order to transfer to the start. Start: having transferred by car from Beckley, we start the walk from the car park at Waterperry House (postcode OX33 1JZ). Parking is free. The walk is linear from Waterperry to Beckley, so for this walk we will all meet at the end point and transfer to the start in a few of the cars, leaving at least one to enable the drivers to be ferried back to the start. 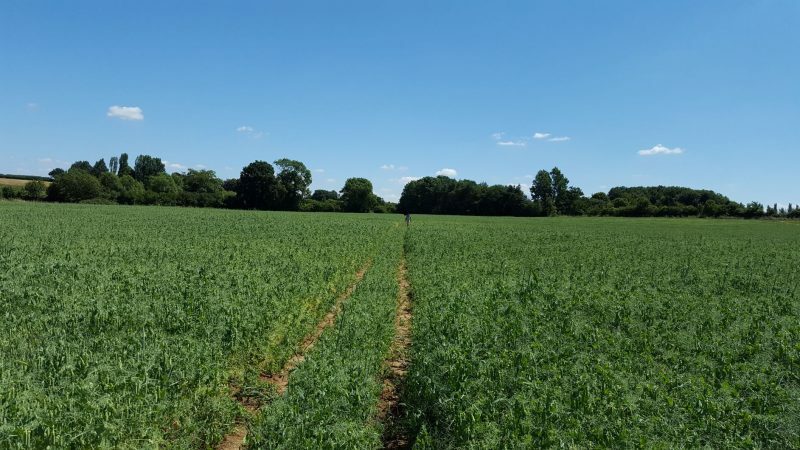 This is a rural walk that passes through shady lanes and open farmland with big skies and far-reaching views over the glorious Oxfordshire countryside. Difficulty: Moderate – 8 miles. We pass over uneven farmland, and there is a fairly steep hill at the end. As the walk does not pass through any villages or obvious places for leaving a car and shortening the distance, unfortunately it will not be possible to offer a shorter walk this month. Leader: Chantal Bryant M: 07710 721136 E: chantal.bryant@btinternet.com. Waypoints: Start – from the car park at Waterperry House we walk through to the edge of the village, and from there we pass along a shady lane into open fields and woodland. We then wend our way through the Oxfordshire countryside, via Townsend Farm, Park Farm, Drunken Corner, Danesbrook Farm and Horton Farm, skirting the edge of Studley Wood Golf Course. We continue up the hill past Middle and Upper Park Farms to the village of Beckley – Finish. Getting there from Aylesbury – (Approx 20 miles): From Aylesbury follow A418 to Junction 8A on the M40, and then the A40 and the B4027 Wheatley Road through Forest Hill and Stanton St John. After Stanton St John take the second right turn into New Inn Road. After about half a mile turn right past the church into Beckley, and the Abingdon Arms can be found in the village High Street. Getting There from Oxford : (Approx 8 miles): From Oxford head out on the London Road to the Headington Roundabout. Go straight across the roundabout & take the Bayswater Road out past Oxford crematorium. At the next junction turn left on to the B4027 and first right into New Inn Road. After about half a mile turn right past the church into Beckley, and the Abingdon Arms can be found in the village High Street.